WASHINGTON: Scientists, including one of Indian-origin, have successfully used a gene editing tool to treat a genetic disease in a fully developed living mammal for the first time, an advance that may be translated in humans. 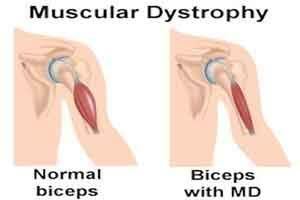 Researchers from Duke University used CRISPR to treat an adult mouse model of Duchenne muscular dystrophy. They had previously used CRISPR to correct genetic mutations in cultured cells from Duchenne patients, and other labs had corrected genes in single-cell embryos in a laboratory environment. But the latter approach is currently unethical to attempt in humans, and the former faces many obstacles in delivering treated cells back to muscle tissues. Another approach, which involves taking CRISPR directly to the affected tissues through gene therapy techniques, also faces challenges, particularly with delivery. Researchers including Aravind Asokan of University of North Carolina, overcame several of these obstacles by using a non-pathogenic carrier called adeno-associated virus, or AAV, to deliver the gene-editing system.